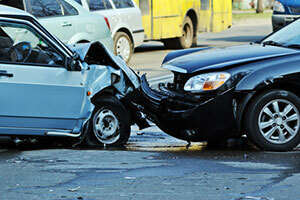 Were you seriously injured in a Marathon car accident in the Florida Keys? If so, you probably want to find the best Marathon car accident lawyer to represent you. But how do you do that? The answer starts with your phone. Do your research on the internet. Check out the client reviews. Look at the law firm’s website. Then call and speak with the lawyer. Make sure you are completely comfortable with your decision. At the Wolfson Law Firm, we invite and encourage you to look at our website as well as the client reviews on that website and on Google. Our Marathon car accident personal injury legal team is available to speak with you 24/7. We understand that you want to hire the best Florida Keys car accident lawyer who will help you get the justice that you deserve. We are prepared to answer your questions and look forward to working with you. Call us for your free consultation at (305) 285-1115 right now. We are standing by right now. The Marathon car accident attorneys at the Wolfson Law Firm have represented victims of negligence since 1963 and they know what to do. They are ready to help you too. While you can try to handle your own claim, you should understand what you are up against. Insurance companies are in the business of making money. These companies will avail themselves of any and all available defenses and delay tactics. The longer that an insurance company holds its money the better it is for them. They know how to leverage the case. Insurance companies are comfortable delaying payment of a claim in the hope that you as the claimant will become desperate and ultimately take less than the full value of your case. That is why you are most likely best served by having a Florida Keys car accident lawyer who has the experience and knowledge necessary to help you get the full, fair and complete compensation that you deserve after your Marathon car accident. All of our consultations are free and confidential. Call us right now at (305) 285-1115. Our Marathon car accident attorneys are ready to help you. The Marathon injury lawyers at the Wolfson Law Firm offer complete personal injury legal representation for victims of negligence in South Florida and the Florida Keys. All personal injury consultations are free. We will never take a fee until we obtain a financial recovery for you. Our bilingual Marathon injury legal team is standing by and ready to talk with you at (305) 285-1115. Call us for your consultation and let us help you. Our Florida Keys personal injury attorneys are proud to serve the Monroe County, Florida Keys and South Florida including Tavernier, Sugarloaf Key, Key West, Big Coppitt Key, Homestead, Duck Key, Marathon, Little Torch Key, Stock Island, Florida City, Upper Matecumbe Key, Cudjoe Key, Plantation Key and Big Pine Key.